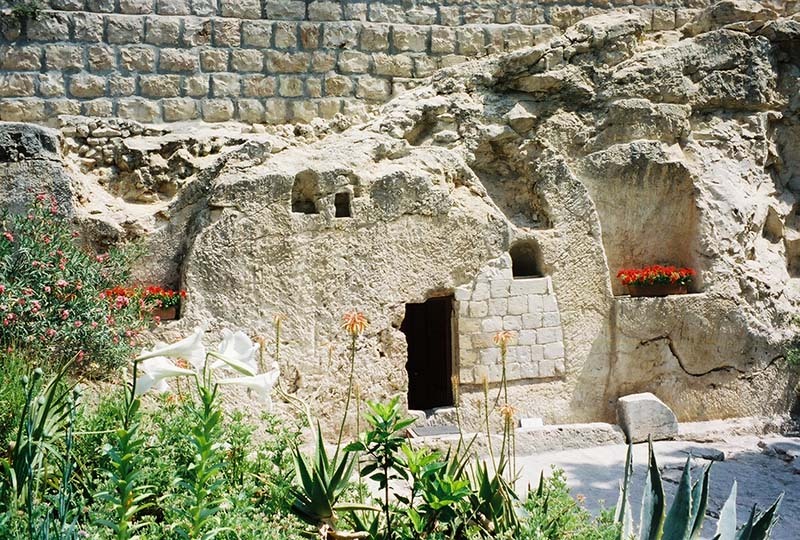 Another indication that the tomb belonged to a rich man is the fact that this Garden Tomb was hewn from solid rock. Originally, the tomb face was flat with an opening cut into it for the door. In the photo below, the square stonework next to the door was added in the late 1800s to repair damage. The other nooks and crannies that have been carved into the face of the tomb were made during the Byzantine period when this tomb became part of a chapel for worship. Consider this: Why would a tomb be made into a church during the early centuries unless it had a connection to Jesus? 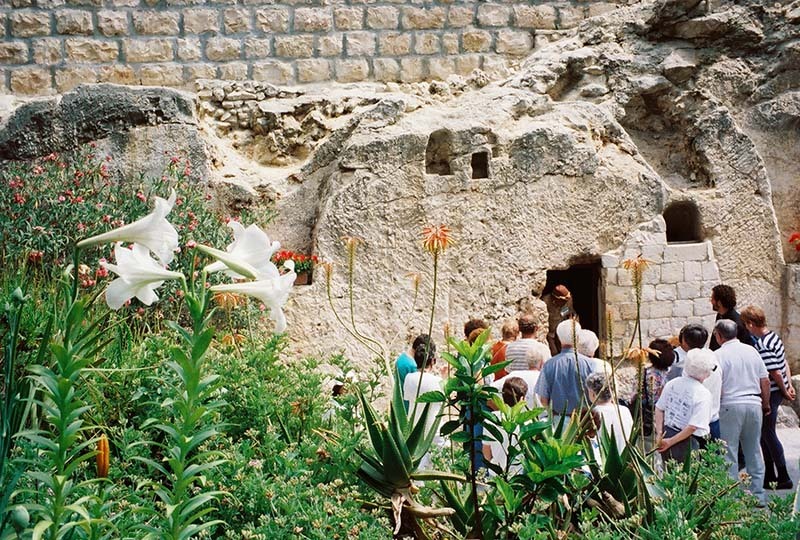 Join us as we enter the tomb ~ click on the doorway in the photo below.